You can pay with Money Bank transfair, Creditcard or with PayPal. The payment method can you select in the ordering process. 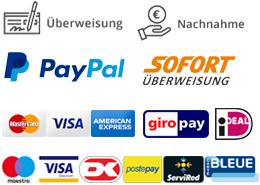 In Germany you can pay with, purchase by cash on delivery.